Water Street Home We Got Moving to Keep Your Life Flowing! Over that past few weeks, more than 600 American Water employees from our four offices in Cherry Hill, Voorhees and Mount Laurel, New Jersey, made an exciting move to our brand-new Corporate Headquarters in Camden. A building we proudly built from the ground up, our new five-story, 220,000-square-foot home is more than just bricks and mortar—and water! 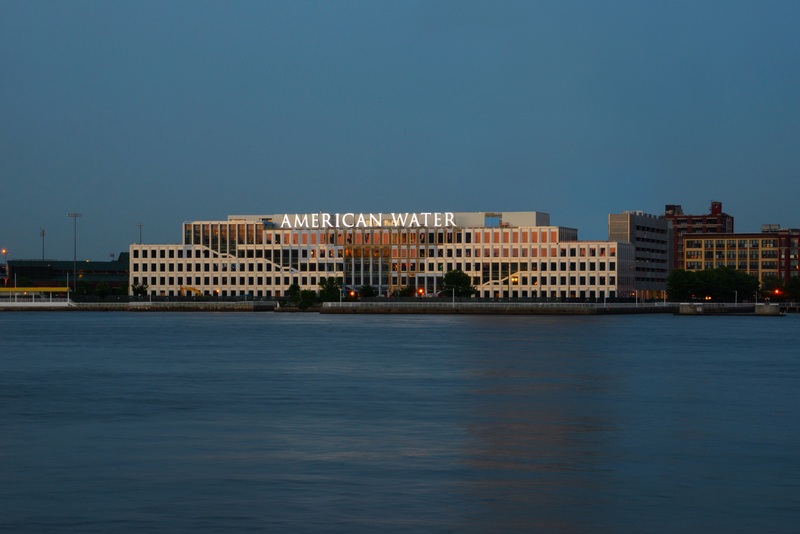 From the people, technology and collaboration space to everything “eco” that’s inherent in the building’s DNA and address—One Water Street—this headquarters is American Water through and through. It is the heart that keeps our mission in motion in your community and across the country. In the months and years to come, you will hear more from us about the many great things that “flow” out of our new headquarters. As everyone from our top execs to our customer service reps work together to innovate, new and better ways to meet customer and sustainability needs, as well as to provide the insights, education and opportunities that empower today’s and tomorrow’s environmental leaders. For now, we would like to reflect on the broader investment that brought America Water home to Camden. This has been our vision from the moment we began to hire local businesses and create jobs to complete millions of dollars in work. It will remain our vision as we create additional jobs and opportunities to support the economic growth of the city. The journey has been invigorating and motivating for all of us because it’s been filled with opportunities to build new relationships with the city, county, school districts, leaders and residents. We have been immersed in what it means to be citizens of Camden, and we look forward to upholding our responsibilities while we continue to take the lead in providing clean, safe, reliable and affordable water to our customers in local communities across this country. We hope to see many of you walk through our doors to understand how this building and the people working in it inspire the work and environmental stewardship we pursue every day to keep life flowing to all of our customers. #StrawsSuck, but they don’t have to!